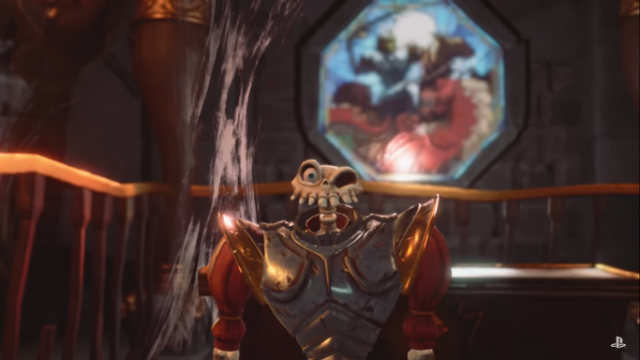 It’s Halloween, and Sony has revealed our first official look at the highly-anticipated remake of MediEvil with the release of a new MediEvil PS4 trailer. It features gameplay and direct comparisons with the original MediEvil PS1 game. Developed by Sony’s International Software Development team and Other Ocean Interactive, MediEvil PS4 is slated to arrive sometime in 2019. The new MediEvil PS4 trailer states that the upcoming game will be a completely remade from the ground up, instead of a simple HD remaster of the classic PS1 game. The comparison between MediEvil PS4 and MediEvil PS1 in the trailer showcases the stark difference and upgrade in visuals awaiting players when the game arrives. The animation for protagonist Sir Daniel Fortesque and his various enemies have also been improved, as movements look more fluid. Besides that, the MediEvil PS4 trailer also confirms that the game will feature 4K visuals for those playing on a PS4 Pro console paired with a 4K TV. For those who are unfamiliar with the original game, MediEvil follows the story of Sir Dan, who receives a chance at redemption when his nemesis Lord Zarok accidentally resurrects him 100 years after his death. Last week, Sony’s Shawn Layden reassured fans that some of the game’s original developers are involved in the development of MediEvil PS4. MediEvil was initially released just over 20 years ago as a PlayStation exclusive, with a sequel released two years later in the year 2000. 2005’s MediEvil Resurrection for the PSP was actually the first ever remake of the game, so that makes MediEvil PS4 a second attempt at recreating the iconic game. MediEvil game designer Chris Sorrell recently revealed that the original inspirations for MediEvil were Capcom’s Ghouls’n Ghosts and Tim Burton’s A Nightmare Before Christmas. We’ll have to wait for more details and information on MediEvil PS4 in the months ahead.